Fly fish Bristol Bay Alaska for rainbows as long as your arm. 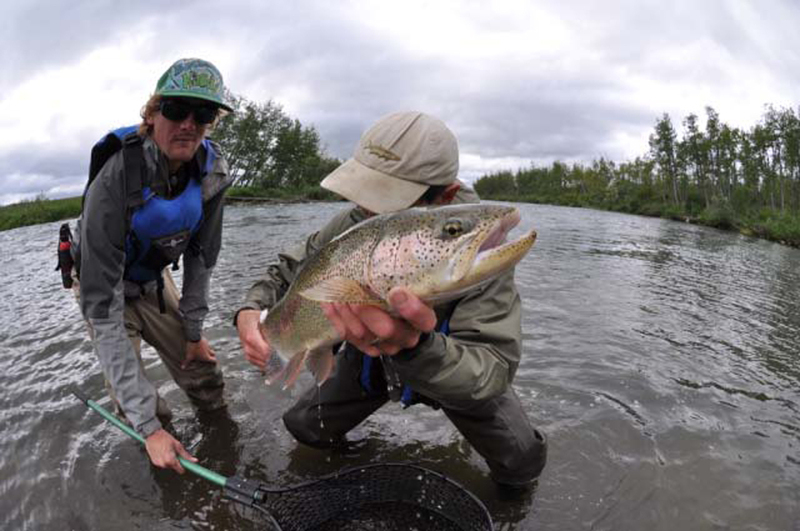 Bristol Bay Alaska trophy salmon, crystal clear rivers, rainbows as long as your arm. Act now to join me this summer in Bristol Bay Alaska, your lifetime fly fishing destination. Fully guided trips for trophy salmon on crystal clear rivers, rainbows as long as your arm, adventure, sea run char by the thousands, wildlife. We’ll Raft and camp along wilderness rivers in solitude. Fly fish in 20 hours of daylight. The days are getting longer and your family’s summer vacation plans might be a discussion item around the dining room table. It’s time to call me. There are just a few prime slots available and I want them to go to you anglers who have dreamed about this for years. In a few short weeks I’ll load thousands of pounds of grocery staples and new fly-fishing gear onto a barge headed north from Seattle bound for Bristol Bay. Its “crunch time” if you want to make this dream come true call me or email me now! 1-206-617-9799.